Out of various traditional dresses for Indian Woman on ceremonial and special occasions such as wedding, saree is placed at number one. You talk of any community you will find saree as the most sought after dress among all Indian wedding dresses. It is worn by women of almost all cultures, religion and in all the climates. When a bride with her hands and feet decorated with henna patterns, body decrcated with high class and design jewellery and wearing saree comes to the venue (mandap) of marriage, all the eyes are glued on her. 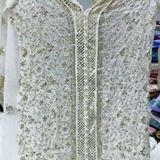 The different pattern of decorations on wedding saree shine in the electric lights and the bride earns the praise as well as blessings of everyone present there. 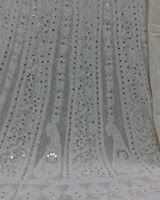 Here in our catalog, we have organized some of the prominent emporium and showrooms of bridal saree in Kanpur which has the largest stock with reasonable price and variety to choose from. 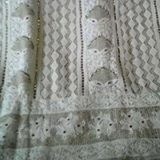 Be it traditional sarees like Kanjivaram, Banarasi, Zardosi, Pochampally or modern designer sarees like georgette lehengas, our vendors provide every variety of bridal sarees with incredibly fine embroidery works and high quality fabric.